The Nintendo 3DS has turned into somewhat of a confusing entity over the years — with the launch of the Nintendo 2DS in 2013 and the New Nintendo 3DS in 2015, the company has now released the New Nintendo 2DS XL. Despite the initial confusion, the New 2DS XL is essentially a New 3DS XL without the 3D; the Big N has completely sidestepped the all-in-one wedge design of the initial 2DS in favour of the signature clamshell look that invites practicality and familiarity. This 2DS XL is part of the New DS series, this means the handheld comes packing the supercharged processor that allows it to play exclusive games like Xenoblade Chronicles 3D. The 2DS XL also features extra ZL and ZR shoulder buttons as well as the C stick that means you can finally ditch the Circle Pad Pro that was available on the old 3DS line. Nintendo have been making DS hardware for a while, so it’s no surprise that the design of the 2DS XL has been nailed. 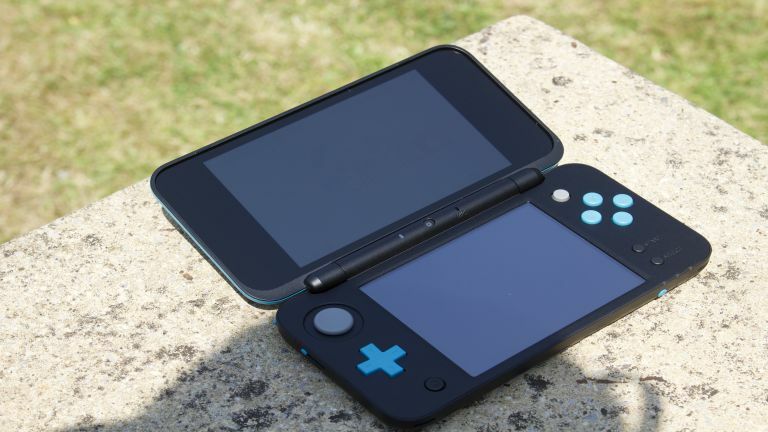 The black and turquoise version that was tested for review is minimalist but is decorated with nuanced touches, like the textured finish on the back of the main screen, that look and feel premium and move away from the Fisher-Price look of the original 2DS. Every design choice on this DS model is laudable with minute details like the opening for the game cartridge and SD card being flush with the design for a better user experience. The only two ugly asterisks of note is the ridiculously small stylus that comes with the device that feels exactly like the pencil no-one wanted to use in primary school that had been sharpened so much it no longer fit in your hand properly. The second is the flimsy feeling nature of the screen — during testing the top screen would move around even when propped up which is the only aspect of the design that oozes the same budget feeling of the original 2DS. The 2DS XL isn’t going to have existing 3DS owners rummaging through their jeans to get their wallets out to upgrade, but for those who are yet to own the handheld, this is the perfect time to pick up the dual screen system. The 3DS line has been around since 2011 and the beauty of picking up a system in the latter half of its lifecycle is the copious number of incredible games available the moment the 4.8-inch screen lights up. Whether it’s nailing the perfect drift in Mario Kart 7, delivering a crushing special move that gives you the victory in Super Smash Bros or re-experiencing classics like The Legend of Zelda: Ocarina of Time. The 2DS XL provides you with a platform to experience one of the greatest and most diverse game libraries in some time and does so by striking a premium feel not found in the original 2DS and without the gimmicky 3D effect present in the more expensive New Nintendo 3DS. The New 2DS XL rings in at £129.99, which makes it a tempting proposition, especially if you’ve never experienced the plethora of titles available on the platform before. With many wondering where the 3DS line fits in a world where the Switch exists, Nintendo have answered that question with a device with a stellar game lineup that costs less than half the price of the hybrid console. The 2DS XL is what the 3DS line should have always been — there’s no gimmicks here, just a combination of great hardware and software. This is the perfect entry point into the incredible and quite frankly adorable world of Nintendo. If this is the last new DS console to be made, then this is one hell of a hurrah for the incredible handheld. Related: Nintendo will support the 3DS beyond 2017. Is that a good idea?